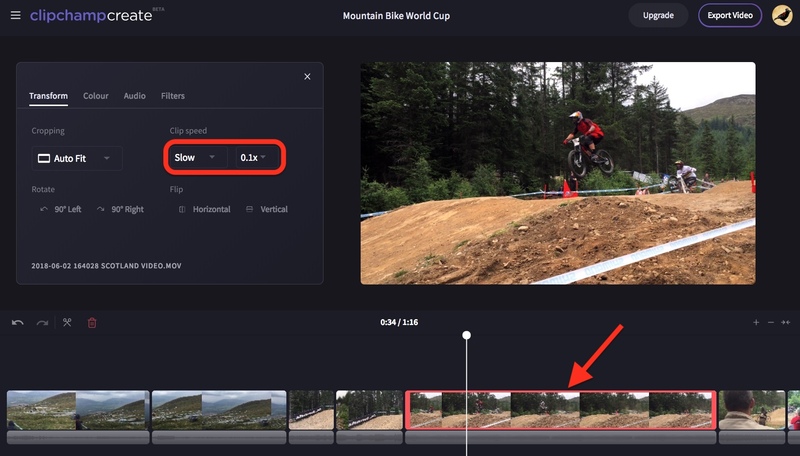 To make a video clip faster or slower in your Create project, simply click on the clip in the timeline. 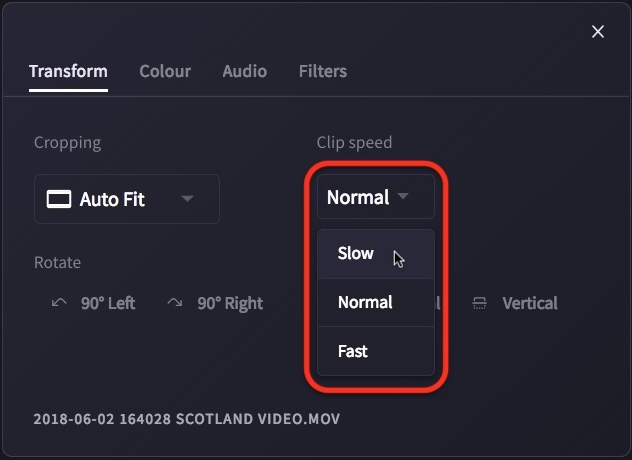 In the Transform menu that appears, choose a desired speed from the Clip speed drop down (fast/normal/slow) and specify how much you would like it sped up (2x/4x/8x faster) or slowed down by (0.5x/0.25x/0.1x as slow). NOTE: audio cannot currently be sped up or slowed down. If you change the speed of a video clip to anything other than 'Normal' it will no longer play the clip's audio. 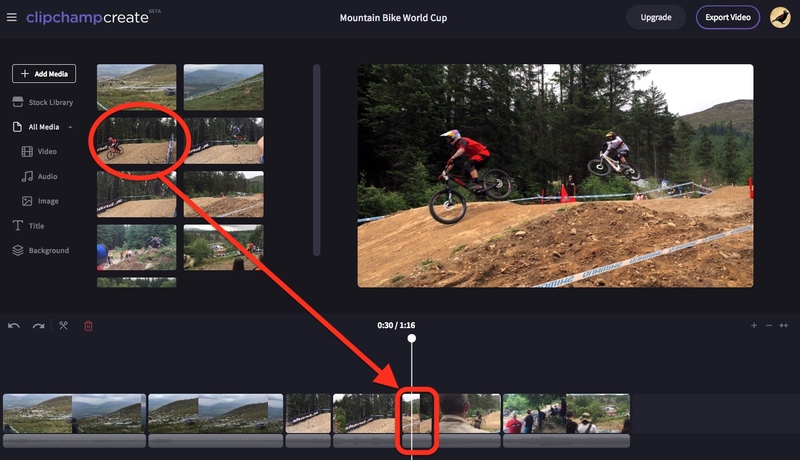 If it's not already there, drag and drop the video from the media library into the timeline at the bottom of your project. 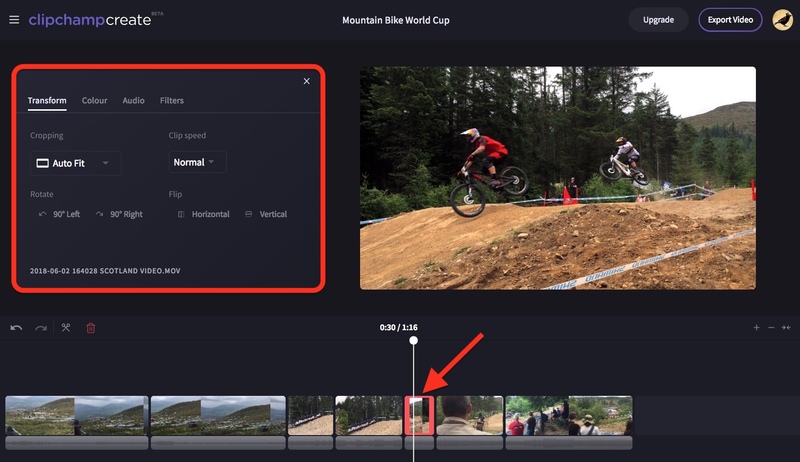 The clip will now play faster or slower depending on the settings you have chosen. Note that it may take a few seconds to load and play back properly. 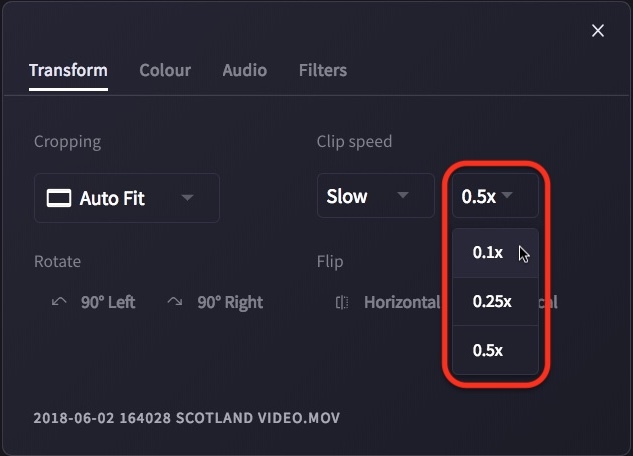 You can return the video to its original state at any time by clicking on the clip in the timeline and resetting the speed to 'Normal' in the Transform menu. Can I add special effects in Create?